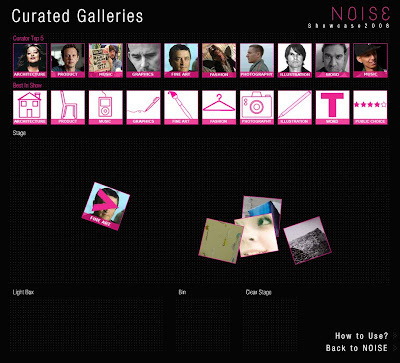 I submitted some work into a website/organisation called Noise Festival and my work ended up being selected as one of the top 5 works in the fine art category out of 9000 submissions. My work was selected by Sir Norman Rosenthal, a man who worked as director of exhibitions at the Royal Academy for 31 years. He has worked with the likes of Saatchi, Damien hirst and Tracey emin…I was prettty chuffed to be honest. Amongst the curators in the other categories were Badly Drawn Boy, Noki and ZAHA HADID, one of the most innovative and well established architects of today. Here is the spiel by Noise…. 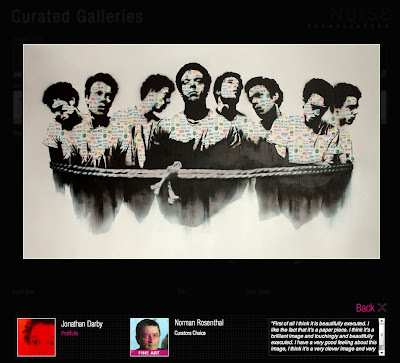 ‘The Prisoners’ – homage to Katte Kollwitz, 2008, by Jonathan Darby, was selected out of 9000 submissions as one of Sir Norman Rosenthal’s top five works in the curator’s choice in the Noise festival in September 2008. The piece was also selected to be included in the Noise festival exhibition and it was featured in the Noise festival artist showcase video. 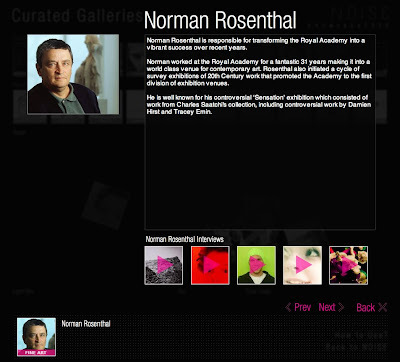 Sir Norman Rosenthal is responsible for transforming the Royal Academy into a vibrant success over recent years. He worked at the Royal Academy for a fantastic 31 years making it into a world-class venue for contemporary art. Rosenthal also initiated a cycle of survey exhibitions of 20th Century work that promoted the Academy to the first division of exhibition venues. He is well known for his controversial ’Sensation’ exhibition which consisted of work from Charles Saatchi’s collection, including controversial work by Damien Hirst and Tracey Emin. image. I think it’s a very clever image and very beautifully done.